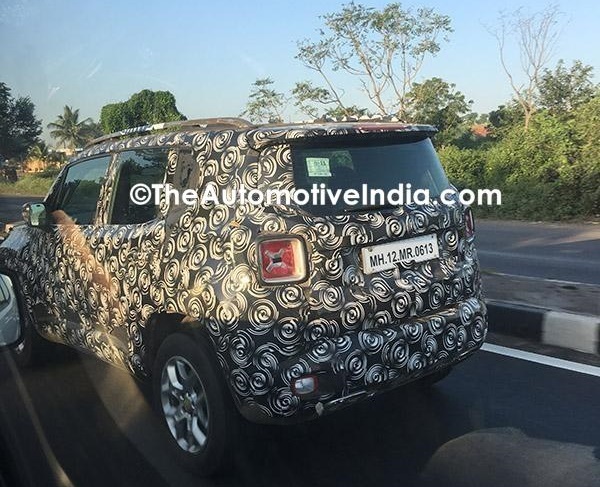 A sighting of a Jeep Renegade test mule on Indian roads is not a rare occurrence. Spy pictures have been doing the rounds since January 2016. However, the latest image shared by The Automotive India is that of a test unit powered by a 2.0 L diesel engine. This particular test mule is powered by a 2.0 L diesel. This configuration is available in markets like the UK. FCA's 2.0 L Multijet II diesel also powers the Jeep Compass. While the Jeep Renegade is expected to be launched in India by 2019, it is likely to be powered by a smaller 1.6 L diesel engine. Jeep could be carrying out testing for export markets. This particular unit bearing "MH 12 MR 0613" registration plates also happens to be one of the oldest test units. Its spy pictures have been doing the rounds since early 2016. The Jeep Renegade, like elder sibling Compass, is likely to be manufactured at Fiat's facility in Ranjangaon. High levels of localization will help FCA achieve competitive pricing. Jeep could also give the plant in India greater scale by starting exports to RHD markets like it does with the Compass. When the Jeep Renegade arrives in India, it is likely to be powered by a 1.4 L MultiAir petrol and a 1.6 L Multijet diesel. The Compass has received a positive response from the Indian car market. This should give Jeep the confidence to bring more products to Indian moving forward. According to a report from November 2016, the company is mulling developing a new sub-4 metre SUV for the Indian market.